Everyone should check out Don Potter's web site which is www.donpotter.net. It has a Cass-Union page that includes grade pictures as well as pictures of the building. I would like to post them here, but this blog will only allow one lead picture. Don's web site doesn't have that problem, however, and if anyone has more pictures I am sure he would like to see them. He is especially looking for pictures of teachers doing their teaching work in the various classrooms. I do not think any such pictures exist, but I have been wrong before. Why was baseball the only thing that was played on the playground? We had at least 4 baseball diamonds. Every boy brought a baseball glove to school. Baseball was played at every recess even if we only had 15 minutes to play. We had a basketball court but I don't remember it ever being used. I was never very good at baseball, but I remember one time Rusty Bovard played second base and I played third base. We caught a runner off guard and threw him out. Rusty bragged so much about how he threw the ball so hard to me and I caught it. I really appreciated his bragging about me that day. It made me feel like a real baseball player. The only time I really felt like one. Rusty would die the following year in a tractor accident, a needless tragedy. I never got a chance to thank him for making me feel like I was one of the guys, a member of the team. Rusty, wherever you are, thanks. You were a great player too, and on that day a great human being as well. Hubert (Hube) Wiley drove the huckster wagon for Grant Jenkins of Jenkins General Store. Does anyone have memories of running out to the huckster wagon and begging for candy? He would throw out only 3-4 pieces per trip, but we kids thought it was like manna from heaven. We used to get so excited about it. Yes, we all had one. Mine was Albert Potter, the principal or should that be principal teacher? He taught us the basics and he always knew that we enjoyed recess. I used to like the way he would read to us every afternoon from the book Uncle Tom Andy Bill. I thought it was Bears of Blue River, but after recently reading that book I knew that I was wrong all these years. Sadly, Mr. Potter passed away a few years ago. We will all miss him. Everyone who posts here is also invited to submit their email addresses to me so that they can be included in the Cass Union database for future emailings and notices. Welcome to the Cass-Union blog. This blog has been created to assist and contribute to a dialog that will enhance and clarify the Cass-Union School experience for all who attended that institution. 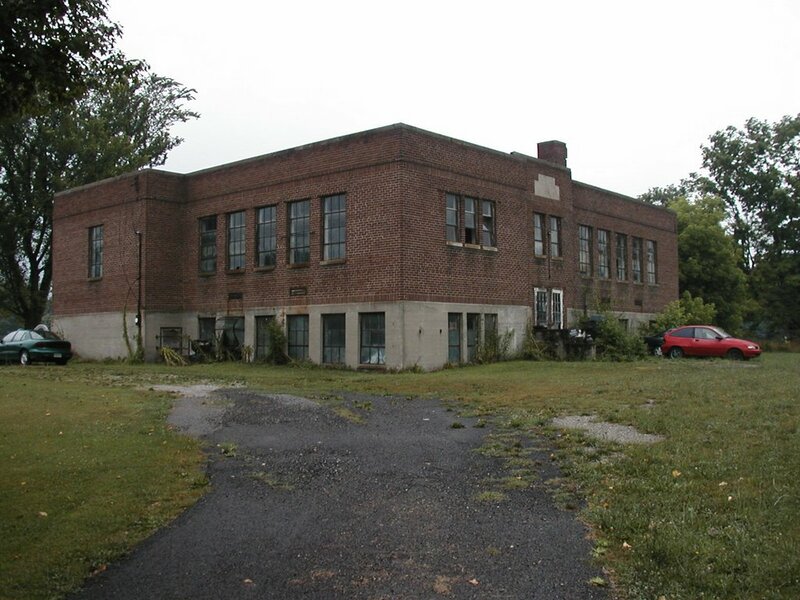 Cass-Union School is located in Randolph Township, Ohio County, Indiana. It has been shut down years ago and is now in a terrible state of disrepair. This blog is the first of many on-line contributions of the Friends of Cass Union School (FOCUS). In the coming months and years FOCUS will take an active role in the restoration of Cass Union School. If you attended Cass Union School please contribute. FOCUS needs mainly written contributions and exchanges of information in order to establish a data base of interested and involved former students. In the future FOCUS will establish its long term goals for restoration. It will be an adventure that will transform the old building. Hope you can be a part of it.